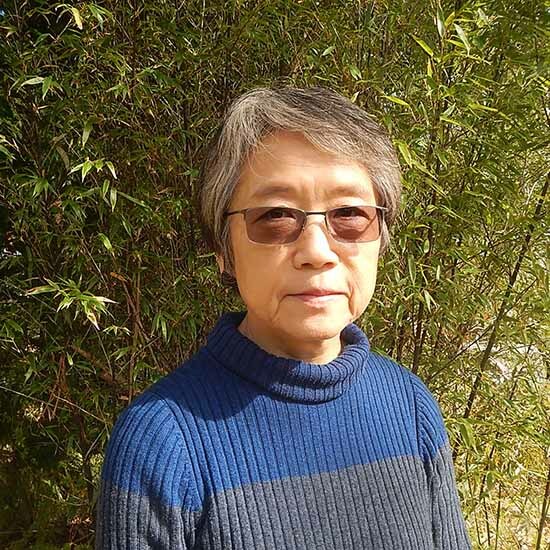 Chiaki Ajioka worked at SBS Television as a Japanese subtitler (1986-96), the Art Gallery of New South Wales (AGNSW) as assistant curator (1992-96) and as Curator of Japanese Art (1996-2003). She then went on to teach Japanese art at the University of Sydney (2004-08). She is a 2013 Japan Fellow, The National Library of Australia (2013) and Board member of Australia Japan Foundation (2012-15). She is currently a freelance Japanese art consultant for public institutions and the private sector. Chiaki curated and co-curated exhibitions including Modern boy, modern girl: modernity in Japanese art 1910-1935 (AGNSW 1998), HANGA: Japanese Creative Prints (AGNSW 2000), Japan in Sydney: Professor Sadler & modernism 1920-30s (University Art Gallery, The University of Sydney 2011). Publications include: ‘Out of context: towards presentation of Japanese art in Western Museums’, Proceedings of the 32nd CIHA conference, Melbourne, 2009; ‘Aspects of the 20th century crafts: the New Craft and Mingei movements’ in Thomas Rimer (ed. ), Since Meiji: perspectives on Japanese visual arts 1868-2000, University of Hawai’i Press, Honolulu, 2012; ‘Modern Tokyo in the 1920s and 1930s’ in Stars of the Tokyo Stage (National Gallery of Australia exhibition 2012); ‘Colour woodcut international: modern printmaking in Japan and the West’ in TAASA Review, Vol.21, No.4, 2012, 16-18. ‘Itō Shinsui’ publication date2015 publication descriptionAndreas Marks. Seven masters: 20th-century Japanese woodblock prints from the Wells Collection. Minneapolis: Minneapolis Institute of Arts; 「三銃士」の米国横断：1952-53年の柳・濱田・リーチの米国巡回『美術運動史研究会ニュース』No. 151, 1-12, 2015; ‘The nature of artistic groupings: sōsaku hanga and the Japan Creative Print Association’ (co-authored), Chris Uhlenbeck, Amy Reigle Newland and Maureen de Vries, Waves of renewal: modern Japanese prints, 1900 to 1960, Leiden: Brill, 2016; 「恩地孝四郎展」Onchi Koshiro exhibition『現代の眼』No 618, 2016; ‘Onchi Koshiro – pioneer of abstract expression’ TAASA Review: the journal of the Asian Arts Society of Australia vol.25, No. 3, 2016; 「英米のMingei ネットワーク1910-1930年代」『ジャポニスム研究』No.36, 2017.